An essential element in people's perception of the quality and comfort of their working environment, is the possibility of having a meaningful contact with the world outside. 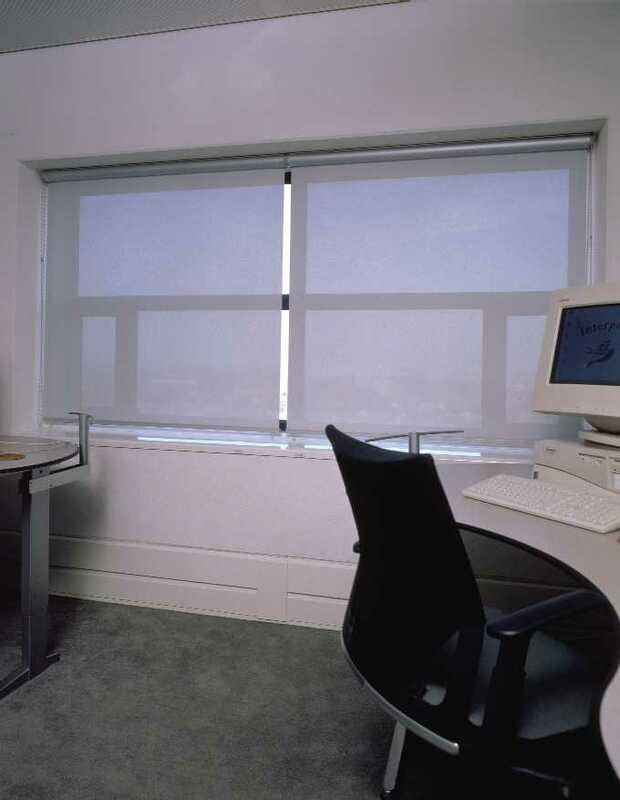 Recent studies have shown, that given the choice, over 70% of office staff preferably situate their workstation near the window. Visual contact with the world outside is the decisive factor, and the most important elements of input received are the weather conditions, the time of day and activity in the vicinity of the building. 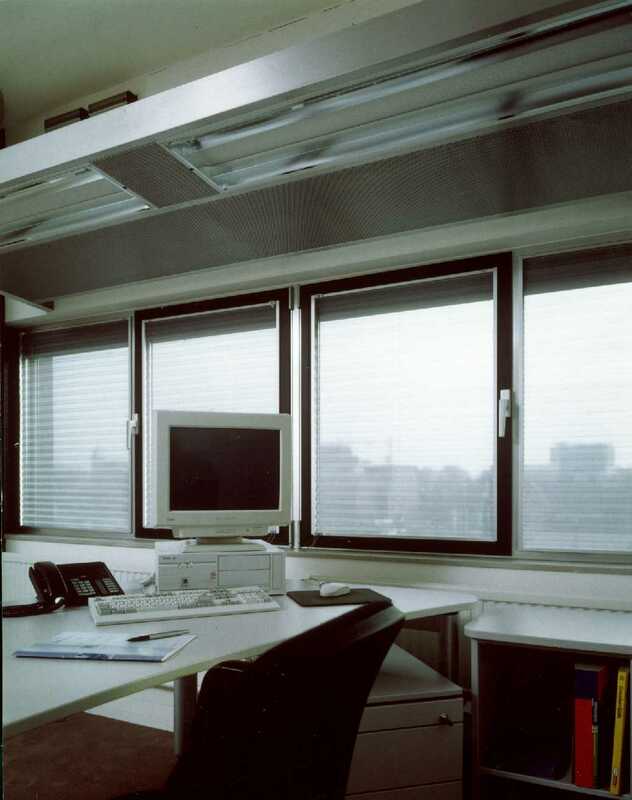 Those elements contribute to our sense of comfort and well-being in our working environment, and we are prepared to cope with the negative side-effects of a desk near the window. The metallization of Verosol products not only gives them excellent sun shading properties; it also enables the use of transparent a semi-transparent fabrics that permit good visual contact to the world outside.